Google has announced the much-anticipated successor to the Nexus 7, released a little over a year ago, today at a small press conference. Hugo Barra introduced the device, which has been leaked extensively in the past month (several of those times being here, more recently). 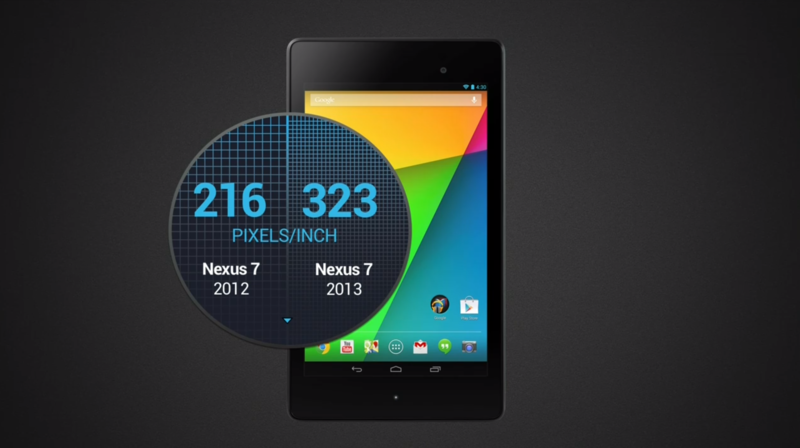 The new Nexus 7 is thinner by 1.8mm, and narrower by 2.75mm on each side of the bezel in portrait orientation. It's also 50 grams lighter. 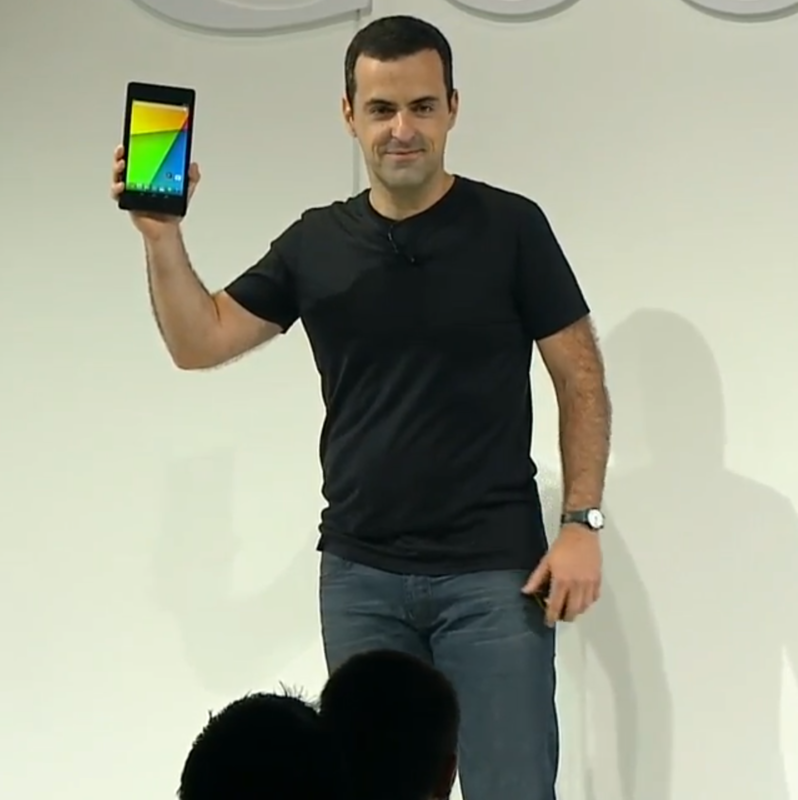 The specifications line up with what's been leaked to date - a quad-core Qualcomm Snapdragon S4 Pro processor, 2GB of RAM, 7" 1920x1200 LCD display (presumably IPS, with a DPI of 323) with a claimed 30% wider range of displayable colors, virtual surround sound processing, 5MP rear and 1.2MP front camera, Qi wireless charging, and there will even be a model with LTE that will work on Verizon, AT&T, and T-Mobile's LTE networks (sorry, Sprint fans). Battery life was promised in the form of "9 hours of HD video playback." 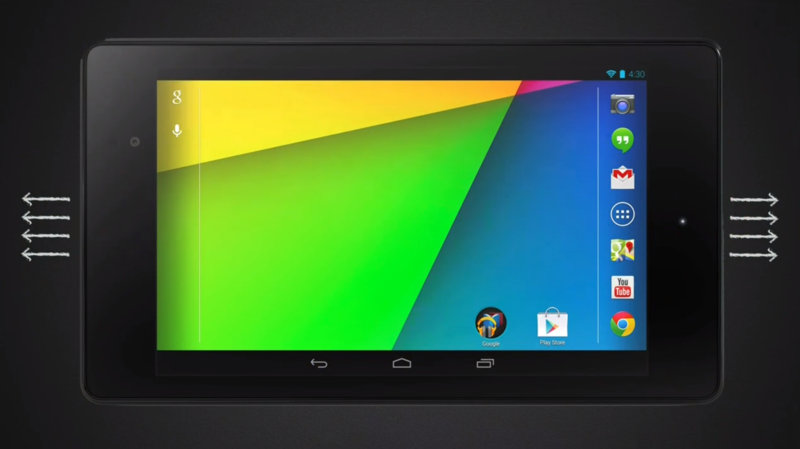 It will also, of course, ship with Android 4.3. 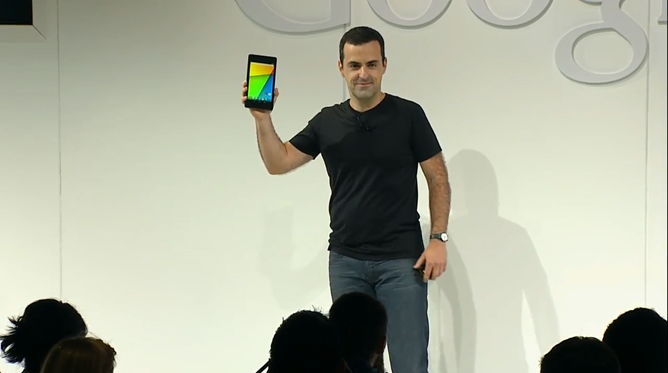 Update: The battery is 3,950 mAh (up to 9 hours of active use). 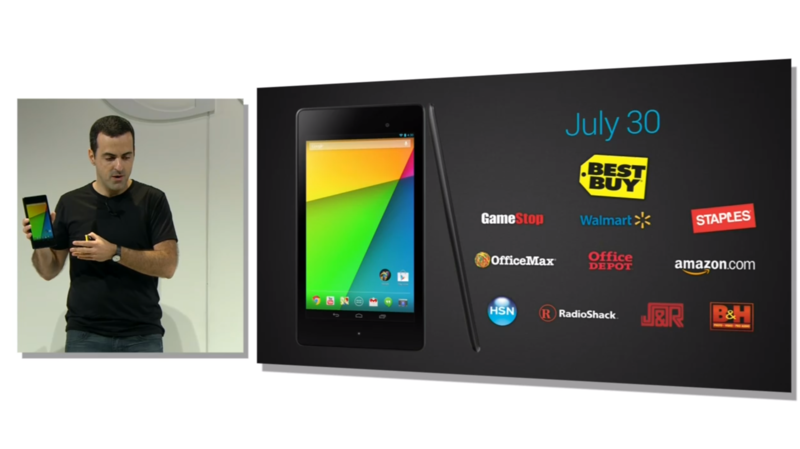 The new Nexus 7 will launch in the US on July 30th. 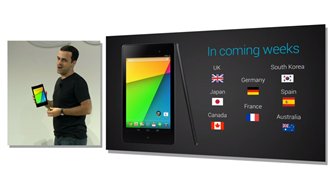 See below for international and retail availability. The Nexus 7 will launch in the UK, Japan, Germany, Canada, France, South Korea, Spain, and Australia "in the coming weeks." 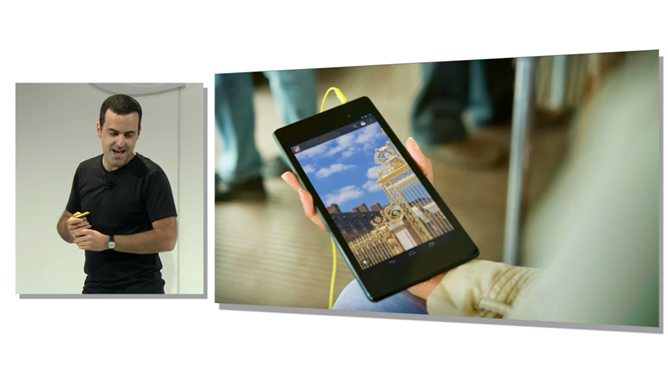 Pricing is $229 for the 16GB model, $269 for the 32GB, and $349 for the 32GB with LTE (in the US). Update: The new Nexus 7 is live on the Play Store, along with a sleeve case.